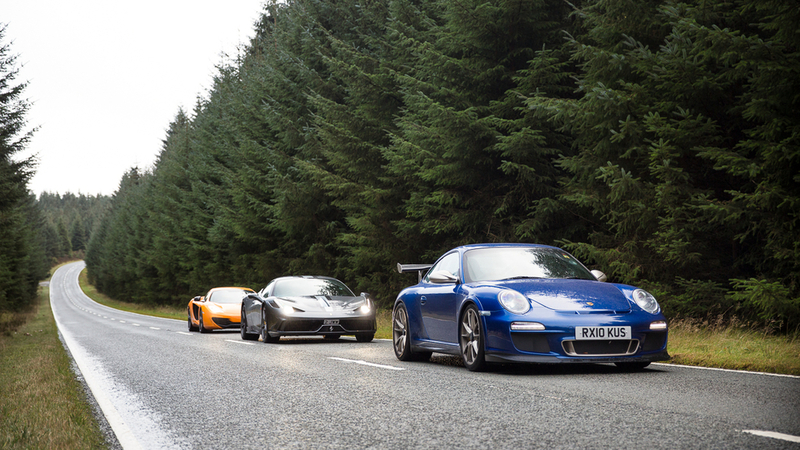 Let's set the scene, a Ferrari 458 Speciale and a Porsche GT3 RS to drive the EVO triangle..there have been worse days. We dragged ourselves out of bed nice and early to be greeted by a cold and damp yet sunny morning. With temperatures in the single digits neither man nor machine was ready to do anything too ambitious right off the bat. Starting cars like this up in the morning could be seen as antisocial, I think it's much more favourable to my neighbours kids running around screaming in the morning. Loud engine noises also have a similar effect to a strong coffee to clear your head before skating off on semi slicks. 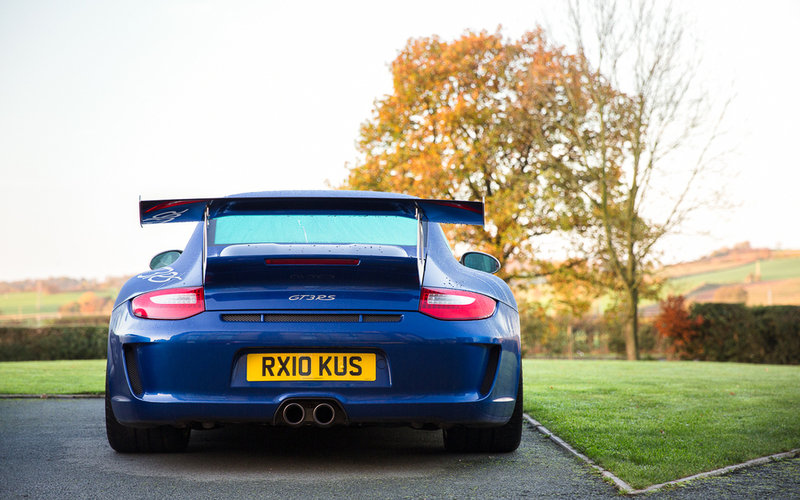 The RS is equipped with a sharkwerks bypass pipe running valves open all the time which creates one of the best sounds i've ever heard out of an engine. This is oldschool driving, 3 pedals, 1 stick and an engine in the wrong place. Clearly there are 2 ways to skin a cat.. 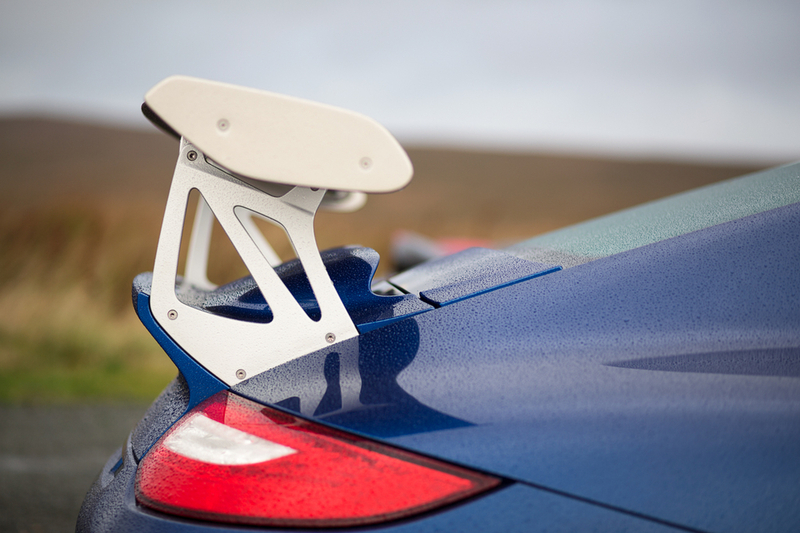 The Ferrari Speciale is a very different animal; a lot more horsepower and an engine in the "correct" place. With the shift in engine placement the driving characteristics change dramatically. 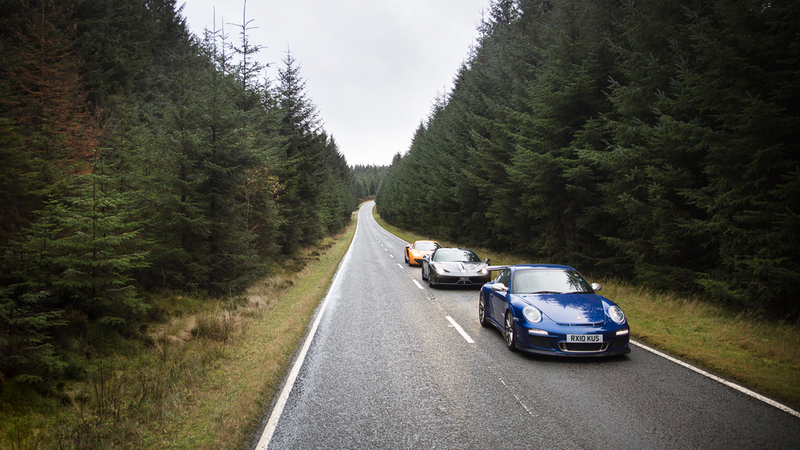 In the Porsche you can get the power down very early due to the monumental grip generated, driving the Ferrari is a bit more of a dance as the rear always wants to play silly buggers and oversteer all over the place. 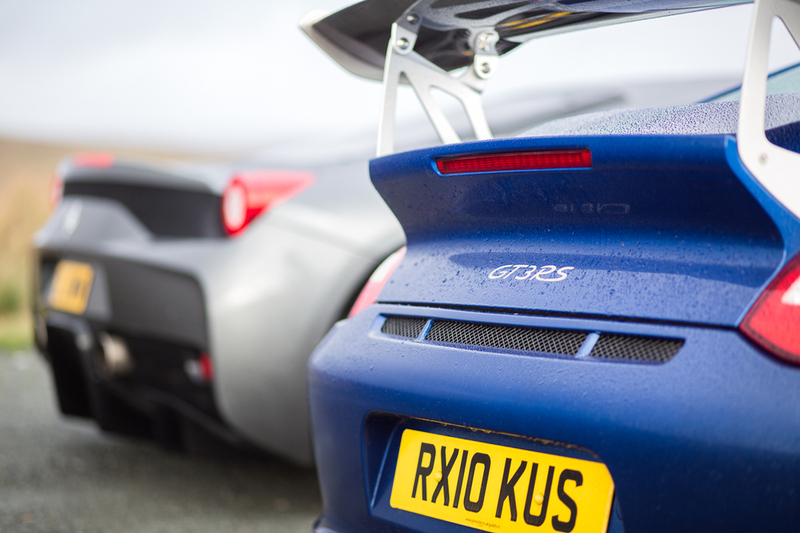 In normal driving you wouldn't really notice these characteristics as both cars are happy to mooch around town and just go about your everyday business, slacken off the traction control, put your foot down and the excitement and feedback levels go off the charts. Clearly Wales had different plans for us as after a brief coffee stop to take a few photos and shoot a bit of video the clouds came in and the rain came. It really is a testament to how great driving good roads with a friend is that neither of us gave two shits. The lower grip levels just keep your speeds more legal which isn't necessarily a bad thing. I tried to string together a video from the small bits of footage I took, definitely going to make a few more of these as it's pretty fun and I'm learning about this whole talking to a camera thing. I'd heard much about the "Evo Triangle" and I have to say it definitely lived up to the hype. A solid mix of open fast sections and windy technical stretches. North Wales honestly was phenomenal but you've just got to watch out for the occasional sheep or patch of slippy "fertiliser". 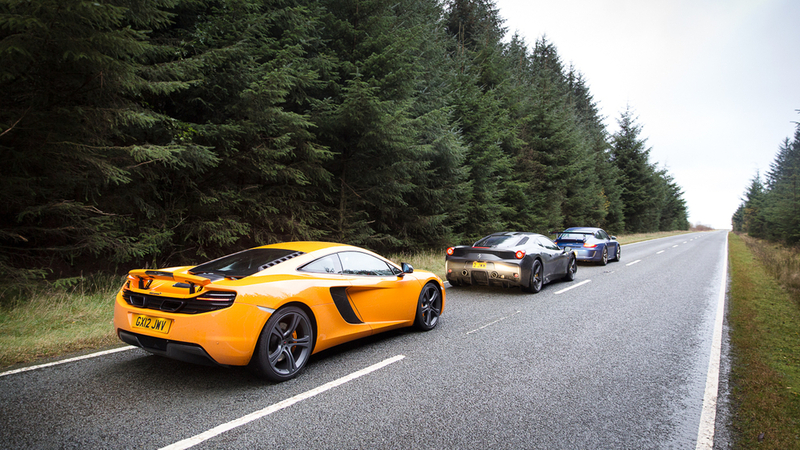 After dicking around for an few hours we were joined by a McLaren 12C before heading over to Anglesey for the night. Have a look at Mr JWW's video below.